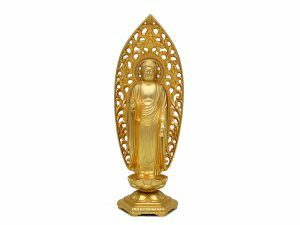 Woody Buddhism sculpture are made in Kyoto mainly. 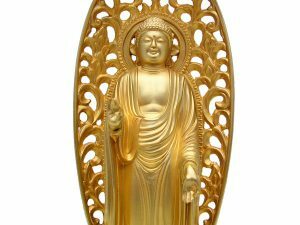 But Metal Buddhism sculpture are made in Takaoka mainly. 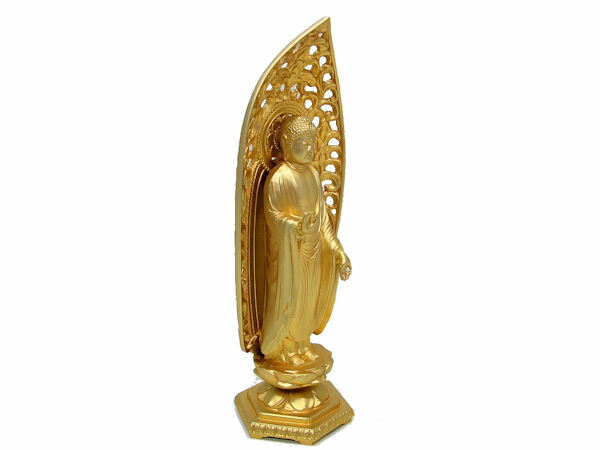 The characteristic of Buddhism sculpture in Takaoka has good-looking face and figure. I have direct deal with producers. Please get Takaoka metal Buddhism item by all means! I recommend it! 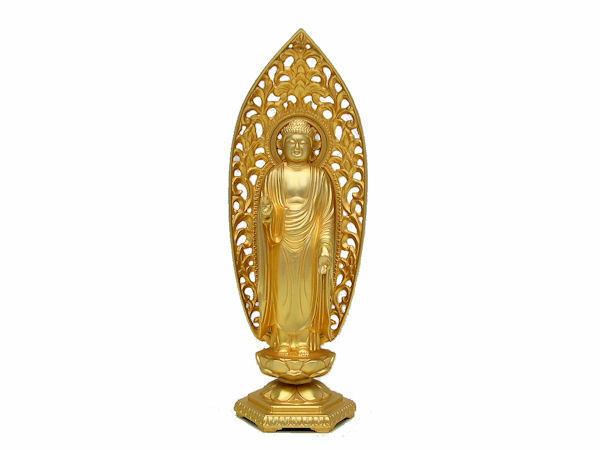 From the best place for Metal Buddhism Sculptures!! 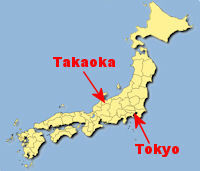 Takaoka city is the most famous metal industries city. Because this city has rich water. Therefore the city has rich electricity by hydroelectricity, and electric charges are low. From that reason, metal industries are active. This city has long hitory. From 14th century, this area was famous metal industries area. In 16th century, Samurai, Maeda Toshinaga became a lord of this area. 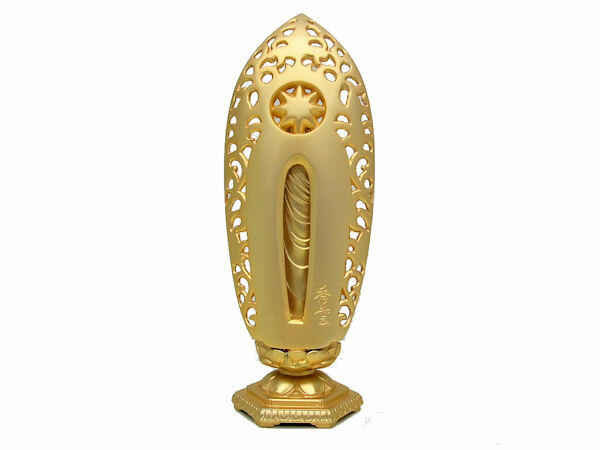 He invited many metal craftsmen, and encouraged them to produce metal items. The most believed NYORAI in Japan! 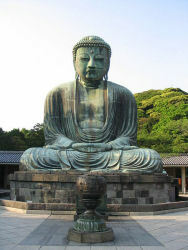 The famous AMIDA-NYORAI can be seen in Kotoku-in temple in Kamakura (Kamakura Daibutsu). 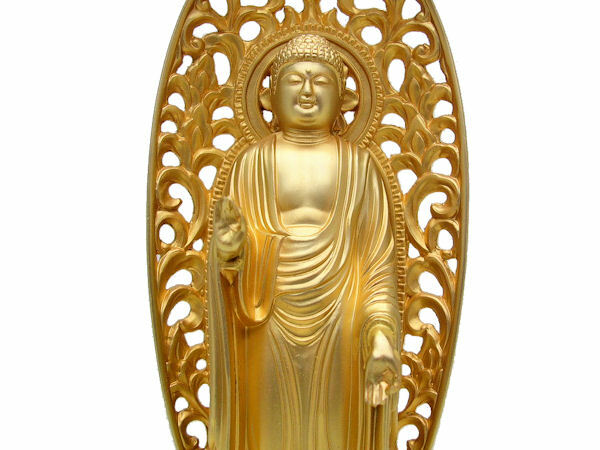 AMIDA-NYORAI is one of a bodhisattva in Buddhism. Especially, AMIDA-NYORAI is believed strongly in Tibet and Japan. It’s the principal images of the twelve zodiacal signs are depending on birth year. You can look it up here. And of course, you can get what you want regardless of the twelve zodiacal signs.